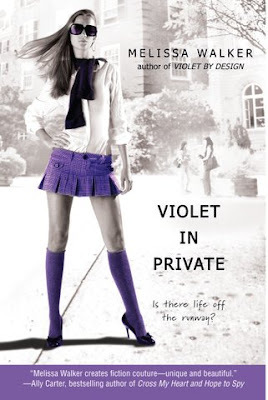 Author and Vassar alumna Melissa Walker has just released her third novel, Violet in Private. The story follows a girl who is worried about beginning college life at Vassar after a successful career as a teen fashion model. For those of you living in Main, you'll be excited to see your dorm in the background of the book's cover. Multiple sources are telling us that everyone's favorite late-night pizza place Napoli and Sicilia Pizza is closed. ViCE is kicking off the year with a week of major programming. 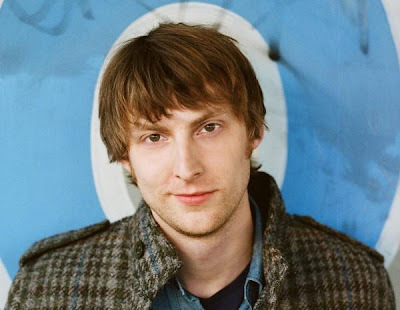 Monday - Eric Hutchinson. 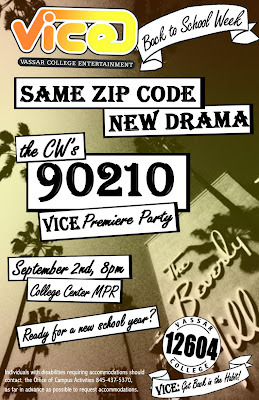 Tuesday - screening of the new 90210. Wednesday - 80's Night. 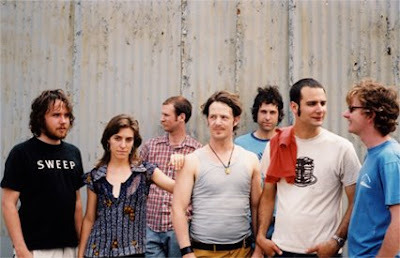 Friday - Broken Social Scene. Saturday - Zombie Strippers. All of these events are definitely worth checking out. 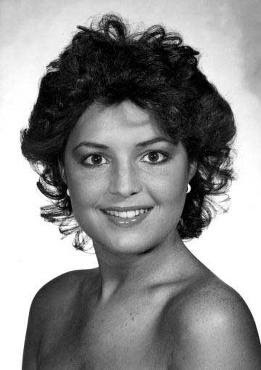 Fun fact: Alaskan Governor and now the presumptive Republican Vice Presidential candidate Sarah Palin was a beauty pageant queen back in her youth. As you probably heard already, John McCain has chosen Alaska's Gov. Sarah Palin as his running mate. This should certainly shake things up a bit. 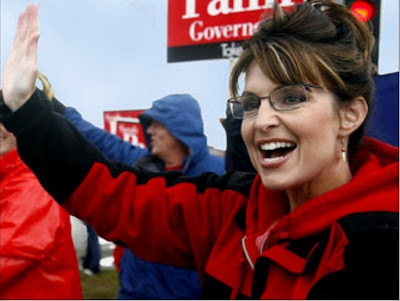 Palin is the first female Vice Presidential candidate in her party's history. 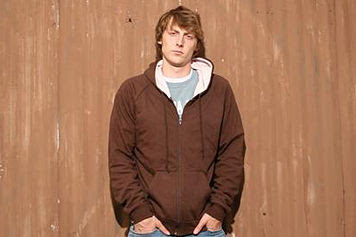 Singer-songwriter Eric Hutchinson took some time today to answer some of our questions. Mads: When did you start writing songs? Eric: I wrote my first song when I was eight. It’s not that much different from the ones I write now, really. 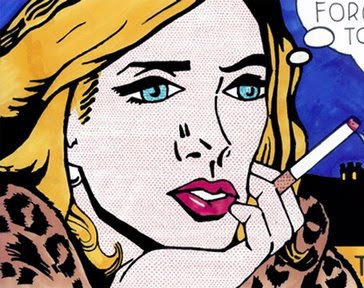 It was called “Why” and it was a contemplative look at why bumble bees sting people and why Pop Eye closes one eye. To me I always loved music and loved singing and the next logical thing for me was to start writing. I would make up songs with my brother and sister and we’d make a little tape or something. Then when I started learning how to play guitar in high school I started writing more. It was just something I liked to do, as kind of a good outlet for my own expression. It kind of comes from all over. I dunno, I’m kind of interested in the gray area of life. A lot of movies and TV and books and everything has always kind of told us it’s either this or that. It’s love or hate. It’s dead or alive. But I find a lot of gray area in life that’s not really discussed so I’m kind of trying to look at that. It’s not just “I love you,” it’s, “I love you but I can’t be with you because I’m in love with your sister.” There’s a lot of complexities that I try and figure out. What is your song is “Rock n’ Roll” about? At the time I was underage and living in New York and I couldn’t get into any of the bars or clubs. I was just trying to convince myself that I didn’t really need to go to the clubs to have a good time and I tried to paint a picture of the people I’d probably meet there be there that I didn’t want to be involved with anyway. It’s me kind of trying to talk myself out of wanting to go there. Every bio of you mentions how celebrity blogger Perez Hilton introduced your music to the masses. How did he hear of you? I didn’t really read his blog. 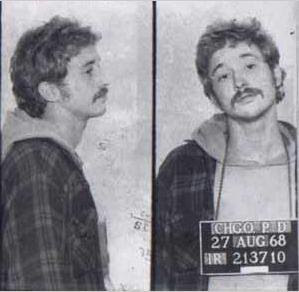 My sisters had mentioned him before so I had heard his name, but I didn’t really know much about him. A friend of mine from high school randomly sent the songs in to him and [my sister] called me up a few days later and said, “I just want you to know Perez put this stuff up here.” I said, “Oh, cool.” You know, I thought it would be maybe a couple of extra MySpace hits or something like that. But he put it up there and I woke up the next day and it was insane. My MySpace page overloaded and I was getting tons and tons of emails. It was exciting and really unexpected at the same time. The attention was overnight. It was really great timing and a certain amount of luck because the album had just come out a week before. It was a great publicity push. 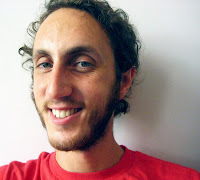 You featured Perez in your music video for "Rock n' Roll." What’s he like in person? He’s extremely friendly and a big music fan. It was kind of just a fun little thing to have him in the video, bringing everything full circle. You’re lucky he's on your side. He can be pretty nasty to celebrities. That is true. (Laughs) I’m gonna try and stay on his good side. You and Meiko both performed at Perez's party in Austin a few months ago. What do you think of her? We’re friends. We’ve done a couple of shows together. We actually have a couple of connections. Will Golden, who produced my album also produced hers at the same time and we kind of crossed paths together at the studio and stuff. Do you play a lot of college shows? College shows were the way I really made my living and got used to being on stage. I probably did college shows for four or five years. If a school is excited to have me then I’m excited to go play there. It’s about audiences and having a good time. What’s special about playing at colleges? My music tends to appeal to that kind of crowd and I’m playing to a bunch of people that can all potentially like the music. I think college kids also get a more enthusiastic. As you get older you get jaded and you don’t get as excited at shows. So playing colleges is a lot of fun. You went to Emerson College. What was college life like for you? I had a great time at Emerson. I really felt like it was the right place for me. I actually founded a comedy troupe when I was there and I was really doing music as a hobby. But, as I got to the end of school I switched the two. How about a craziest college memory? (Laughs) I am a pretty boring guy. I get asked that question relatively often about lots of things and I’ve never got a good story unless I make something up. My interesting stories are pretty lame. On your website you list Vampire Weekend as one of your favorite bands. They played here last September. What’s your favorite song of theirs? The song that got me hooked on them was “Cape Cod Kwassa Kwassa.” I think they’re really fun and exciting and kind of different and they’ve got some cool influences. It’s rare that I hear some new music that’s fresh and exciting and has a lot of energy in it. 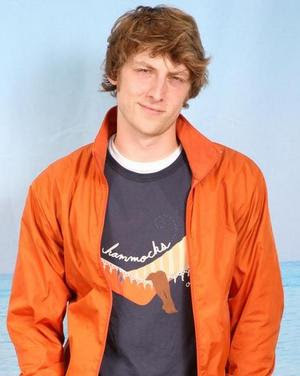 Your song was just featured on the soundtrack to Sisterhood of the Traveling Pants 2. Was it exciting to be featured in a major motion picture? It was definitely exciting. I have to be honest, I haven’t seen the movie. I didn’t see the first one and I’ve heard my song plenty of times so I don’t need to go to the movies to see it. But it definitely was cool. I got a lot of new fans and a lot of positive messages from that. So it was definitely cool. Do you have any advice for singer-songwriters who are trying to make it? You need to be writing all of the time. In college there are lots of great places you can be performing. As a singer-songwriter the two things you need to really hone are your songwriting and your stage [presence]. It sounds cliché or obvious, but it’s writing as much as you can and doing shows as much as you can. 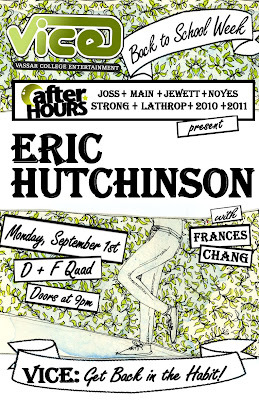 Eric will be performing on September 1st at 9:30pm in the Drama & Film Quad. Cappy gave the Presidential Welcome to 2012 in the chapel this evening. The Deans also spoke, as well as VSA President Jimmy Kelly '09. The Barefoot Monkeys performed, calling upon their "surprise member" Cappy to take the stage as they threw bowling pins around her head. The welcome turned political this year as many of the speakers addressed current events both directly and indirectly. Cappy called upon the Class of 2012 to affect change in the world and change "the way things are now." Dean Roelke said he was a proud Independent voter and quoted Senator Clinton's speech at last night's Convention. Jimmy Kelly mentioned how Vassar differs from the outside "world of inequality." You can get one of these bad boys at the Activities Fair on September 7th. Wesleyan has just equipped its campus vending machines with WesCash swipers, according to Wesleying. This is what Vassar is planning to do with VCash, thanks to the Class of 2010 gift. While the plans have raised some controversy here, the system seems to be working well at Wesleyan. Cappy is on campus! She was spotted outside of her house earlier this evening. For those of you on campus already wondering what the deal is with the cows on the construction fence by Davison, here is your explanation. 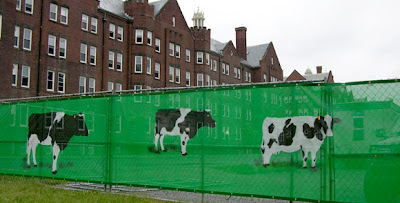 "It's been years since Vassar served milk from the college's own herd of Holsteins, but the heifers have recently returned to pasture on Joss Beach, providing a soothing distraction from the nearby Davison renovation." A local artist made the designs with spray paint and stencils. When you move on to campus either tomorrow or within the next week, the amount of construction going on will probably surprise you. A memo from Tom Allen, the Director of B&G says: "Scaffolding has been erected for the replacement of the slate roof, an essential part of this renovation project. We expect all of this “high” masonry and roofing work to be substantially complete by Thanksgiving 2008. Renovations to upgrade all major building systems, replace windows and improve handicapped accessibility will continue throughout 2008/09." There is also work being done on Taylor Hall, as well as lots of construction building the round-about at the intersection of Raymond and Collegeview. A few Vassar students spotted Project Runway judge Nina Garcia in New York City earlier today. 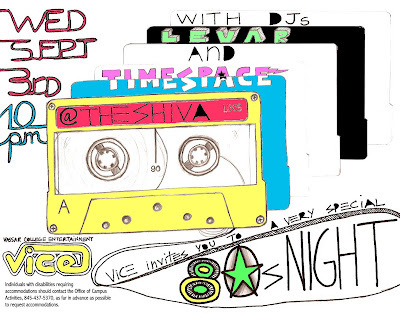 A certain popular DJ duo might be performing at Vassar in a few weeks, according to their MySpace. Megan Habermann, The Assistant Director of Campus Activities, wrote in to Randy Cohen's column "The Ethicist" about a wheelchair that was stolen during last Spring's Commencement ceremony. Randy Cohen, who spoke at the Commencement, responds in today's New York Times Magazine. Megan writes, "At Vassar College where I work, we lent six wheelchairs to families attending commencement, but only five were returned. During the ceremony, a student’s grandmother moved from a wheelchair to a folding chair. When she went back for the wheelchair, it was gone [...] The family offered the replacement cost, $500. Should we accept?" Mr. Cohen suggests that Vassar can but shouldn't take the money. 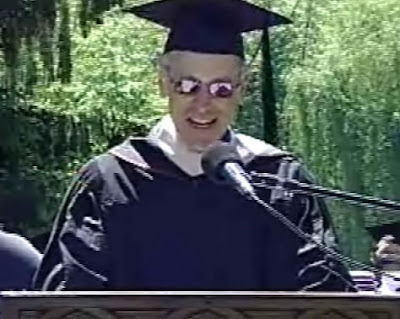 He concludes, "I was the commencement speaker at Vassar during the (probable) theft. I swear I didn’t do it. And I’ve got thousands of witnesses. If the chair was stolen, not just misplaced, my speech was sadly unpersuasive." Remember the showing of the film The Education of Charlie Banks at Vassar last year? Well, a Vassar grad may have written it, but apparently it has launched the film career of former Limp Bizkit singer Fred Durst. An article in today's LA Times describes how Charlie Banks has set Durst on a new career path as a film director. Mads has been trying to stay away from political posts lately, but this story is clearly post-worthy. 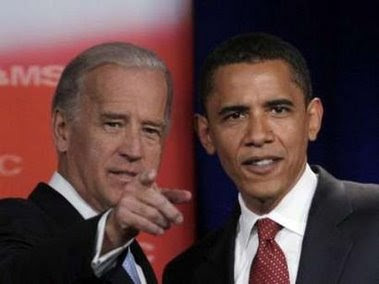 As you probably know already, Barack Obama has chosen Senator Joe Biden as his running mate. What do you think of Obama's decision? Former VSA President Sam Charner '08 was spotted at the preview of the updated DC on Thursday. The higher education blogger for the U.S. News & World Report takes a humorous approach to this year's rankings - analyzing what they mean in terms of who Obama's choice for VP may be. The U.S. News & World Report released its annual college list today. Vassar came in at #11, the same place spot we held last year. The most notable change is Wesleyan, which has slipped to #13. The punishment for Vassar alumnus Jacob Blumenfeld and several other "Free Tibet" activists may have been determined a few hours ago. 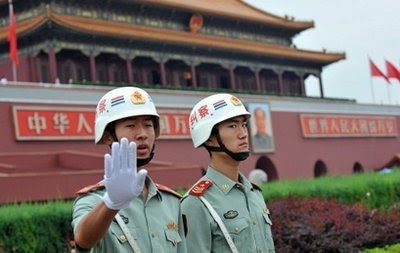 "Chinese police say they have sentenced six foreigners to 10 days of administrative detention, in what appears to be the first sentencing of foreigners for protesting during the Olympics. Police released a statement saying that the foreigners were detained Tuesday for "disrupting public order," but did not provide other details. 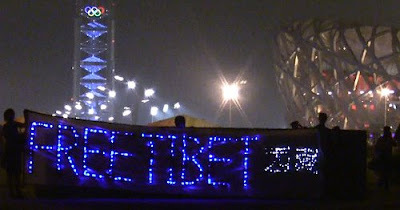 The group Students for a Free Tibet says the detainees are probably six Americans who have been missing since Tuesday. The group's Deputy Director Tenzin Dorjee told VOA Tibetan service that the detained include a New York-based artist who was planning to create a laser light display. The group says the five others are "citizen journalists" who did not participate directly in the pro-Tibet protests in Beijing." The names of the individuals arrested have not been released, and again, we do not have confirmation that Blumenfeld is one of them. Check back later for more exclusives on the newly updated dining center. 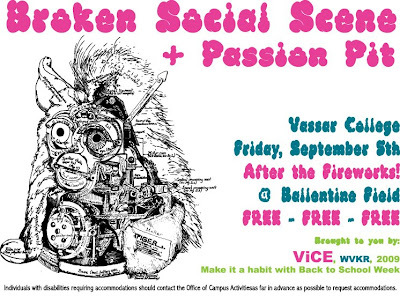 As we hinted at yesterday, the band Broken Social Scene will be playing after Serenading this year. You can check out the group's music here. Serenading will be on September 5th this year. This marks the second major concert in less than a week for ViCE, with Eric Hutchinson performing on September 1st. A certain band from Toronto will be playing the Serenading concert this year, sources tell Mads. This band rocked the Siren Music Festival at Coney Island earlier this summer. 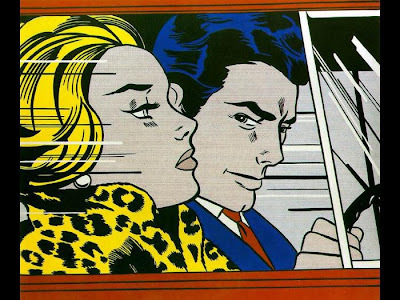 A new exhibit will be coming to the Frances Lehman Loeb Art Center this Friday called Impassioned Images: German Expressionist Prints. Some of the artists included in Images are Ernst Ludwig Kirchner, Käthe Kollwitz, Erich Heckel, George Grosz, Otto Dix, Max Beckmann, and Wassily Kandinsky. Despite its former president being sued for $25 million, the Friends of the museum is largely funding the exhibition. Images will be up from August 22nd to October 26th. Forbes just released its list of top schools, claiming "for too many years information about the quality of American higher education has been monopolized by one publication, U.S. News and World Report. Forbes listed Vassar as #31 in the Top 50 category. The U.S. News and World Report rankings should be coming out any day now. Update 8/16: Here is the methodology for how Forbes determined the rankings. The main factors are the success of alumni and student evaluations on ratemyprofessors.com. While Aramark may be busy in Beijing, Vassar Campus Dining has been getting ready for the updated ACDC to open next week. "The first phase of the renovation of ACDC is almost complete. The open marketplace atmosphere will allow us to prepare and serve some of the freshest and finest food in the region; freshly sautéed vegetables, an extraordinary salad bar, a bakery, and a station devoted to the foods of the Mediterranean, to name just a few of the new additions." Update 8/18: A campus dining representative clarifies to Mads that ACDC opens for all students on Wednesday, August 27th. Andrew Bennett '09, the student representative on the trustee committee working on the Juliet project and a member of the Bookstore of the Future group, confirms to Mads that no contract with Barnes and Noble has yet been signed. "Early in the fall semester the matter will go to the students and faculty for further input," Andrew tells Mads. "There is, for instance, a design issue that students and faculty will be asked to comment on." We are also told that "the College has been working with the Three Arts and the Juliet Cafe at several points along the way." Students and faculty are encouraged to continue to voice their opinions about the issue, and more open meetings like the one held last April are being planned for the Fall. It's been some time since there have been any noteworthy developments on the plans to relocate the college bookstore to Raymond Ave, but it seems that faculty members have been using their time off this summer to take action against the relocation. According to the Urban Studies Majors Committee's blog, 61 faculty members signed a letter to Cappy in July asking her to reconsider her position on the relocation. 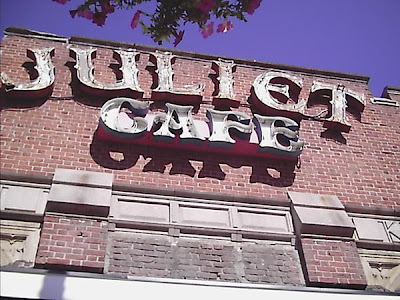 "All of us are troubled by the possibility that the College might establish a corporate-owned bookstore in what is currently the Juliet Café. We are especially concerned for the well-being of the Three Arts Bookstore, a small business with a long, proud history in our area. Recent research into the effect of large chain establishments on particular communities has shown, among other results, that they generate a huge disparity between gross income, and income that actually stays in the community." The letter continues to request that the decision to relocate the bookstore "be postponed until further faculty and community discussion" can be held. Cappy met with some faculty members shortly after, and according to another letter, Cappy announced that "plans for the bookstore are going forward," but she will "consider delaying any signing of a contract with Barnes and Noble until a larger meeting among faculty could take place." It looks like one of Vassar's favorite DJs, Girl Talk, may be facing some legal troubles. An article in today's New York Times discusses just how Greg Gillis gets away with using over three hundred samples on his latest album. Girl Talk is taking this [mash-up] genre to a mainstream audience with raucous performances that often end with his shirt off and much of the audience onstage." Related: Check out youtube.com/madsvassar for clips from Girl Talk's performance at Vassar last February. The college blog network collegeOTR.com has named Vassar's "Serenading" activity as the #1 Craziest College Tradition. Of serenading, the blog says: "Each year freshmen and seniors partake in an event called Serenading. 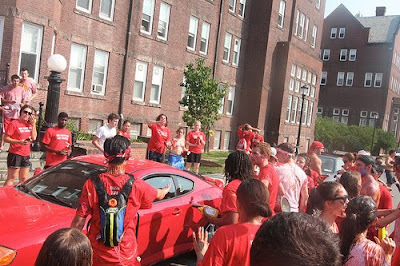 Seniors walk dorm to dorm where freshman sing songs insulting the senior class and students throw condiments, ranging from chocolate syrup to water balloons filled with ketchup." Update: Sorry, the link should work here. Vassar's Diving Coach Tom Albright spoke to today's Times Herald-Record about what to watch at the 2008 Olympics, which begins this Friday. "The Americans are in a position to give the Chinese a run," Albright says of the diving competition. Click here to read what else the coach has to say. 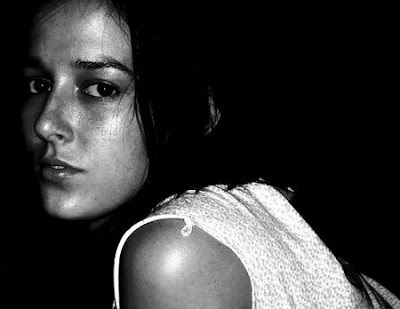 One of our favorite singer-songwriters, Meiko, who performed at Vassar last May, released a new version of her CD today. My record is officially on sale on iTunes today!! Woooooo-Hooooo! I'm soooo excited! 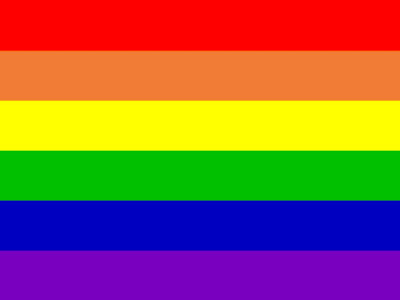 This is a a really big day for me!) I think i might cry. Ha ha! Ahhhhhhh!" I will be strong! and conquer my 1st day in 6th grade feelings! But I will still sit in the back and draw pictures of unicorns." The CD is available on iTunes. 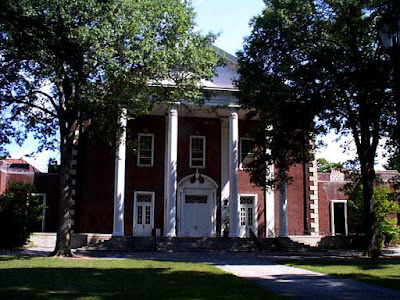 According to the Pougkeepsie Journal, an illness spreading throughout Dutchess County has forced Vassar to cancel several of its summer programs. The illness is thought to be a norovirus infection, which is a 24-hour stomach flu, according to the health department. Symptoms can include vomiting, diarrhea, nausea, malaise or stomach cramps. Norovirus is t ypically very contagious and people can become infected through direct contact with an ill person, eating or drinking contaminated food or liquids and/or by touching contaminated surfaces and then placing their hand in their mouth." 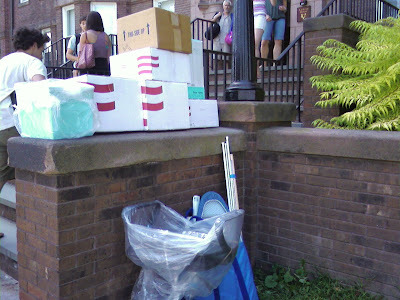 Another article states that some of the programs have been relocated to Marist. Hopefully this will pass before we all move in! Today's New York Times features an article about the ending of concerts at McCarren Park Pool in Brooklyn. Mads just made it out to the venue for the first time last weekend for The Ting Tings and MGMT. Nowhere else does a quadruple-Olympic-size swimming pool fill with music usually heard in dark nightclubs where hula hoopers fear to tread. Nowhere else do water-sport squeals serve as auxiliary percussion. And for better or worse, no other stage has so definitively established itself as the preferred strolling grounds for the latest and most bizarre hipster plumage." Also in today's Times is an article on exploring the Hudson. Ever wonder what that castle-like structure is that you pass on the train from Poughkeepsie to New York? Check out the article here.